The new Aeskulisa DF MMP-3 is used as an activity and early prognostic marker for the development of bone erosions in rheumatoid arthritis. We are the renowned entity engaged in offering supreme quality Diagnostics Products. The offered product has different tools or equipment for determining various aspects of blood related deficiencies like deficiency in the level of Haemoglobin, number of red and white blood corpuscles etc. Further, this is clinically approved for the effective treatment of damage to tissues and many imbalances. 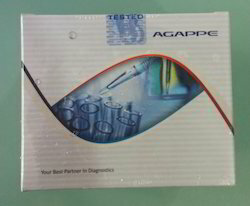 We are noted trader and supplier of premium quality Diagnostic Kits. 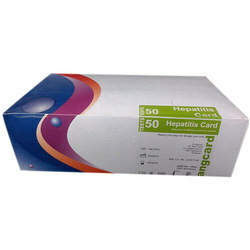 We can supply HCV diagnostic test kit that will be accurate and precise and most economic. Busmonitor for DP with powerful statistics Repeats, fall-outs, corrupted messages, diagnostics, cycle time, etc. High-speed digital oscilloscope - ScopeWare Differential voltage, A-line, B-line, noise, overshoots, reflections, triggers. Bar graph Average, Min. and Max. Values of the bus signals per device.